Our most popular size is 380 (w) x 457 (h) x 75 (g) (15x18x3″). 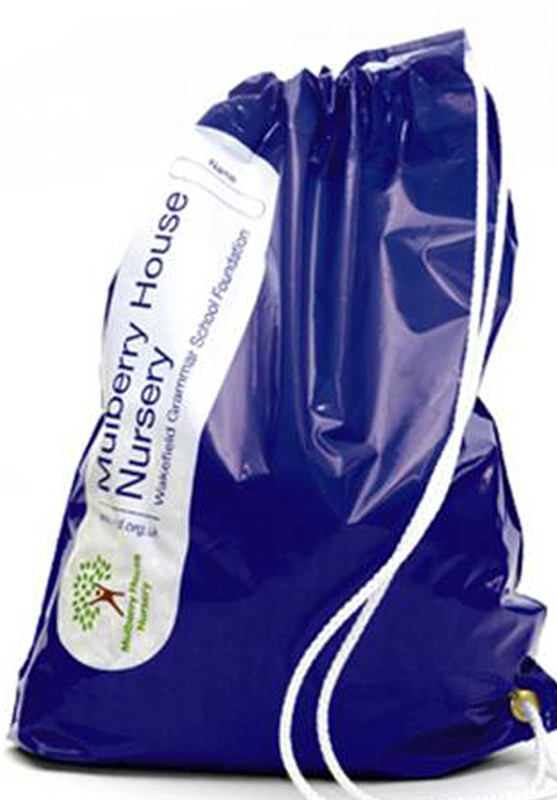 Other sizes are available on request but are potentially subject to higher minimum order quantities. 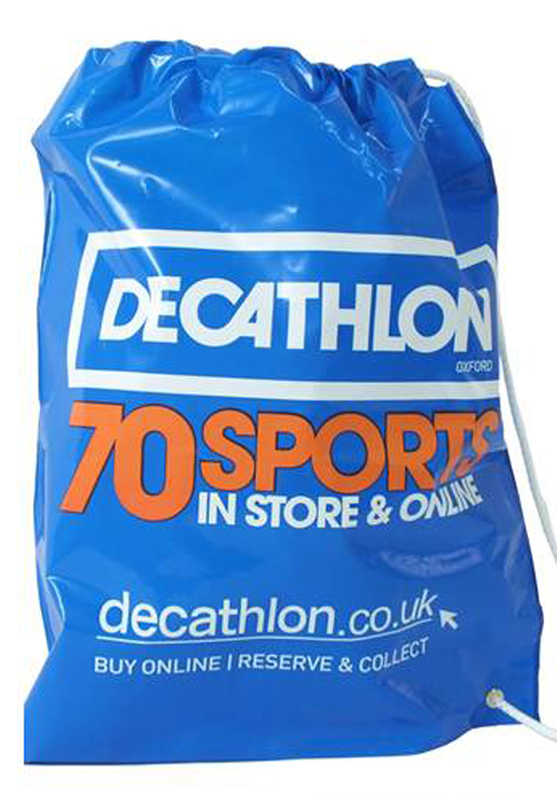 LDPE (Low-Density Polyethylene) usually made from 300G (75mu) film. Our films contain a biodegradable additive. 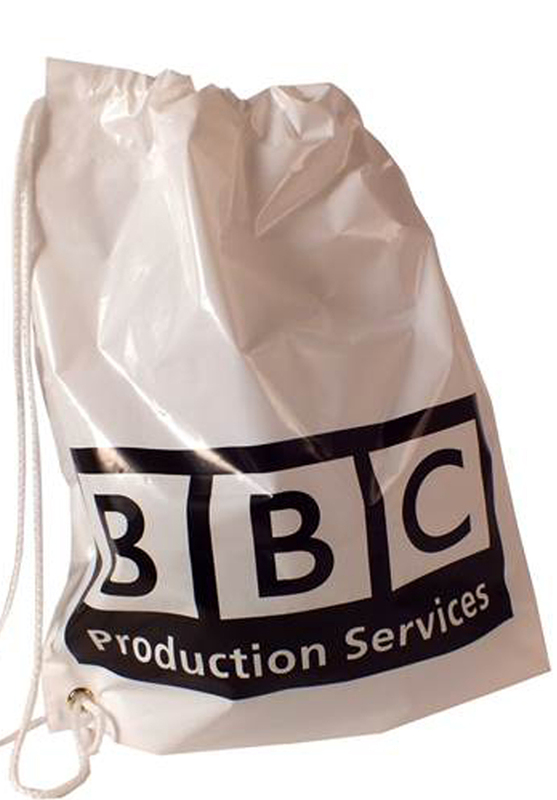 Our duffle bags are available in white, clear, frosted or coloured film (subject to stock). 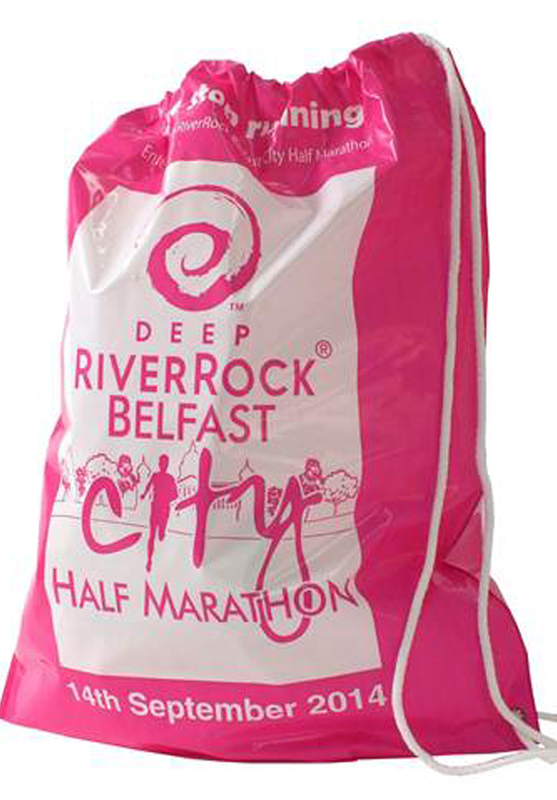 We can make a coloured bag by flood printing it. 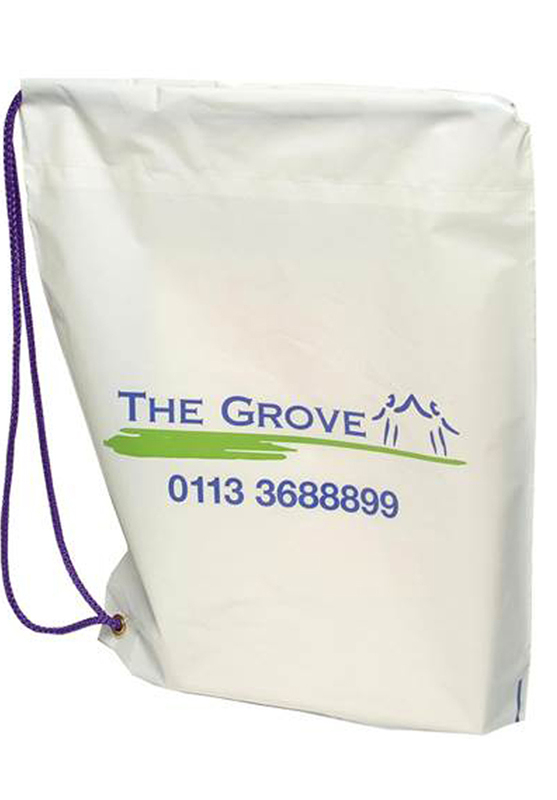 Comes with white cord as standard but coloured cord is available subject to stock. Comes roped on 1 side as standard. 15 – 20 working days from receipt of artwork. 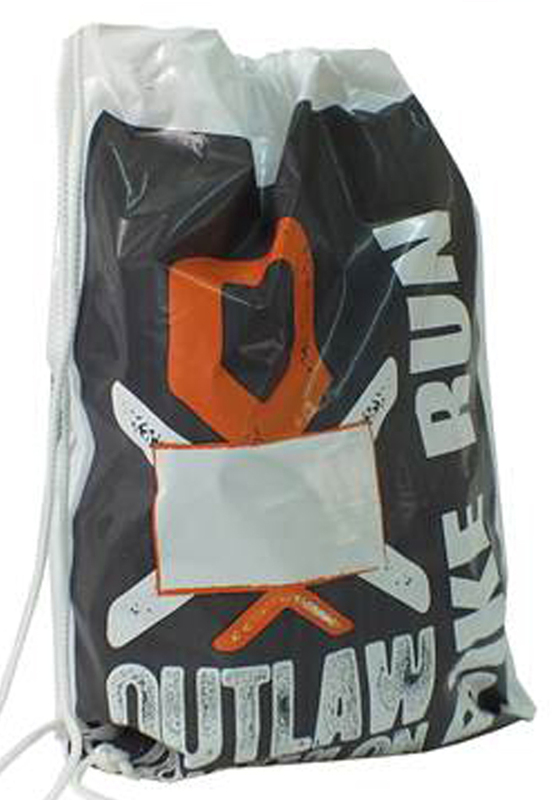 Need your duffle bags in a rush? We’re always happy to try and help. For a small surcharge, we can offer a quicker turnaround.